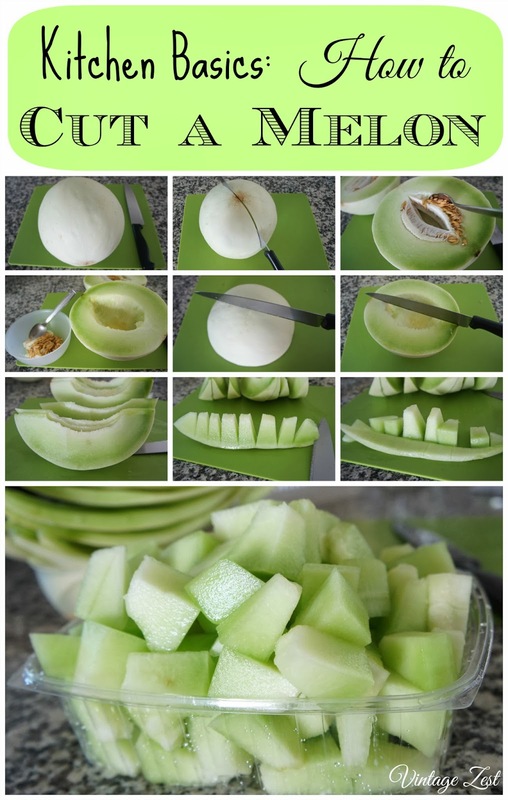 Kitchen Basics: How to Cut a Melon! ~ Diane's Vintage Zest! 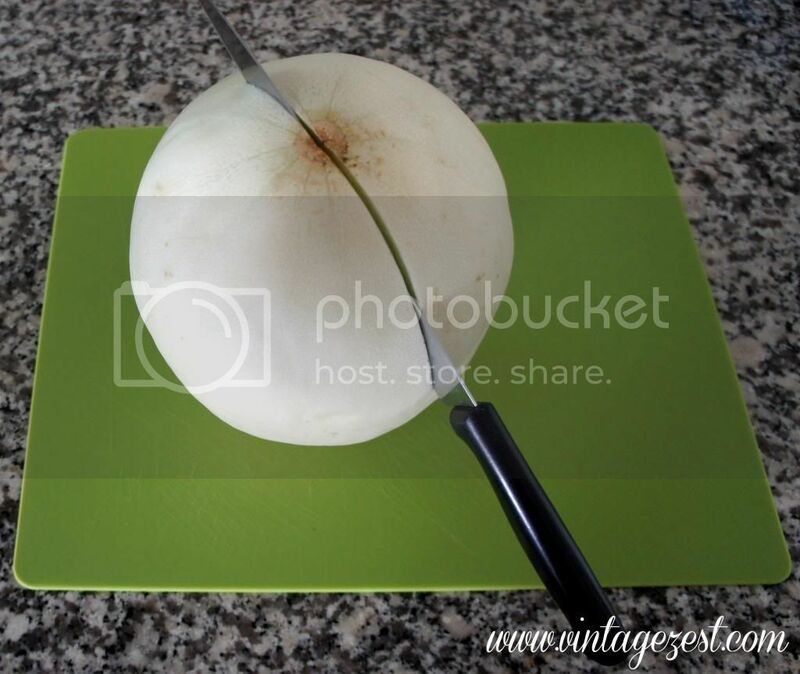 Kitchen Basics: How to Cut a Melon! 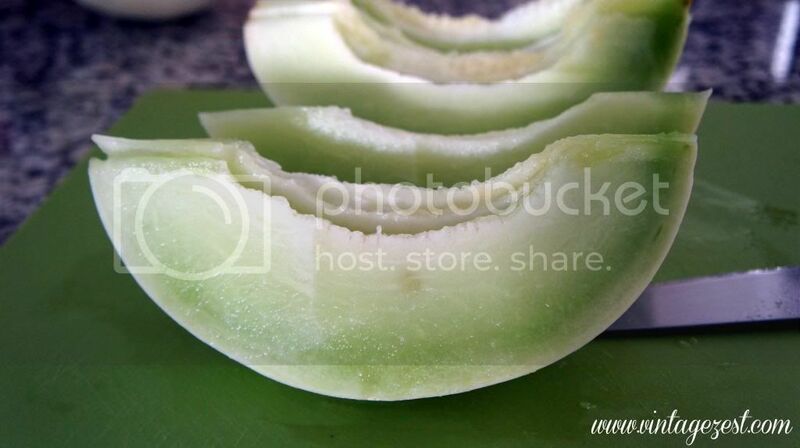 I have been eating melons, blending melons, buying melons, and cutting melons like crazy! 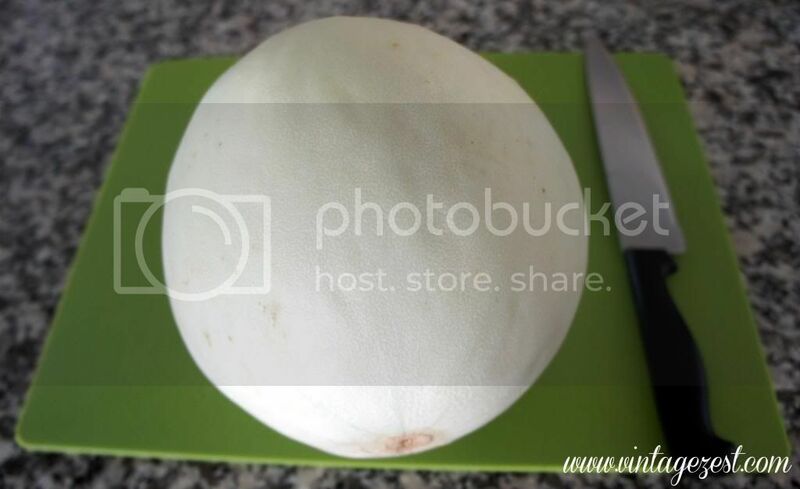 I usually precut a whole melon and eat it over the next few days. 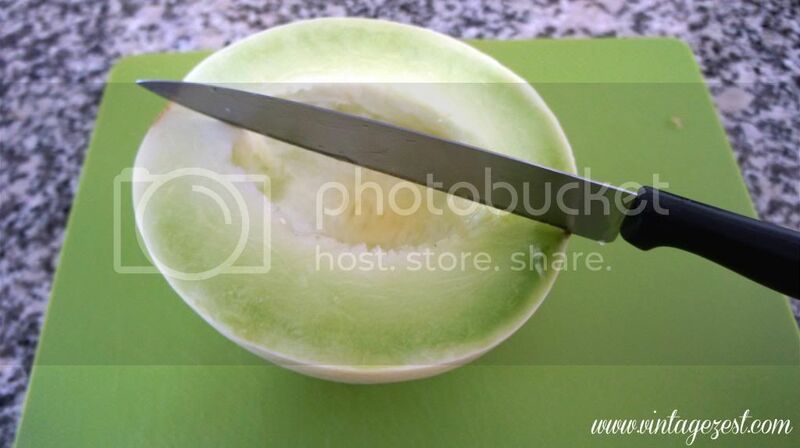 We were out of melon and I was busy, so my guy wanted instructions on how to cut a melon. Well, he thought it was going to be hard, but when he found out it was so easy, he thought it would be a good idea to make a post for everyone who has never cracked into one of these on their own. I have my own method, which is super fast and easy enough for a beginner to master. 1. 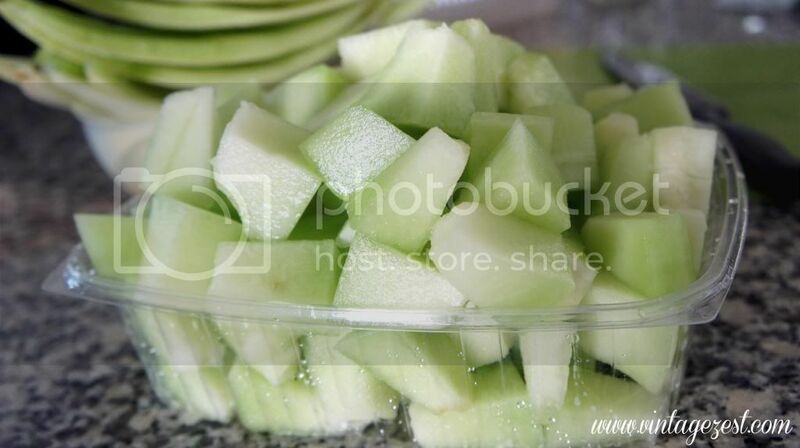 Try to position the melon on the cutting board so it is not too "wobbly" before you cut into it. 2. 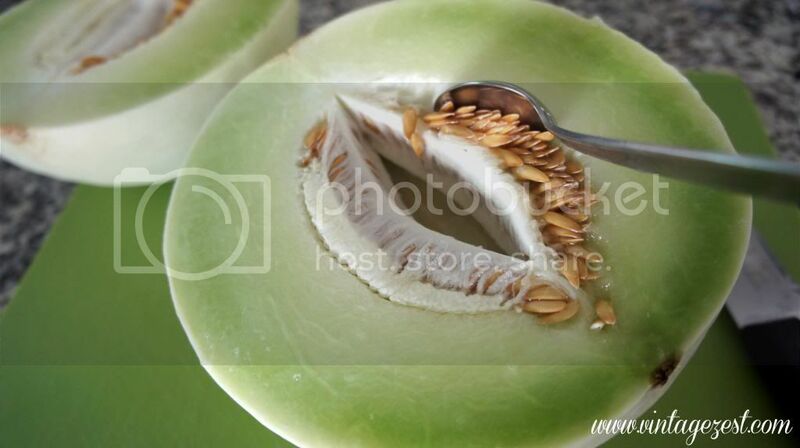 Cut through the melon through the little knot at the bottom. 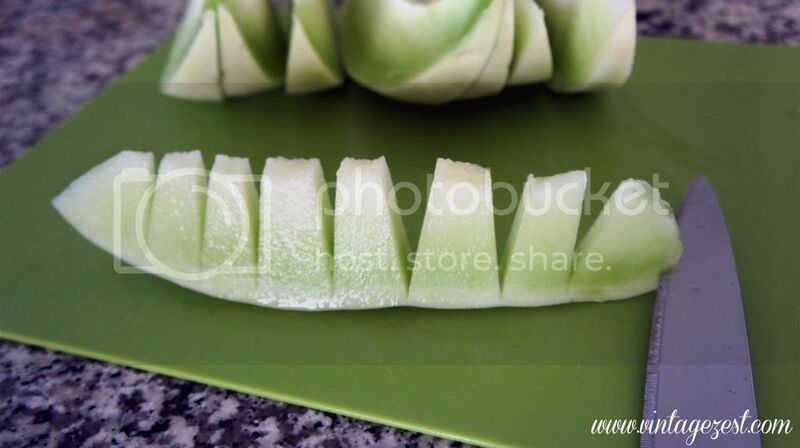 It will slide in fairly easily and just lean into the knife with your body weight over it to slice through easier. 3. Scoop out the seeds making sure to not scoop away much of the flesh. Throw them into your garbage bowl. 4. Repeat for the other half. ...this, which I prefer because it is more stable. 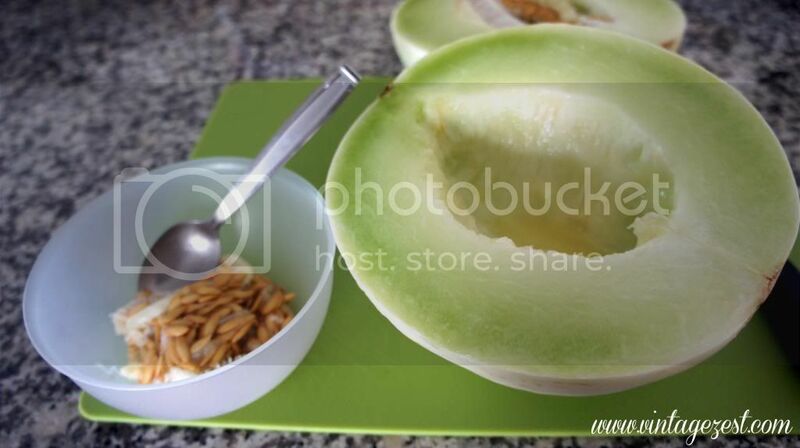 Depending on the size of the melon, you can cut it into 4, 6, or 8 wedges. You will end up with these nice little slices! 6. Cut down into the wedges, but not through the rind. 7. Take the knife and "filet" the flesh from the rind. 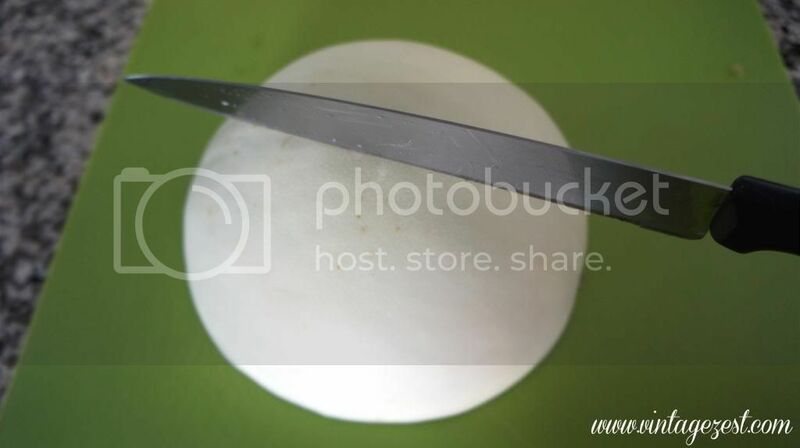 You can flatten out the wedge so it is easier to cut. I find it easier and safer to wiggle the knife back and forth slowly instead of yanking it across the length of the wedge. Be careful! 8. All the pieces will fall off nicely, and then just repeat for the remaining wedges! That's it, and just enjoy your fruit! 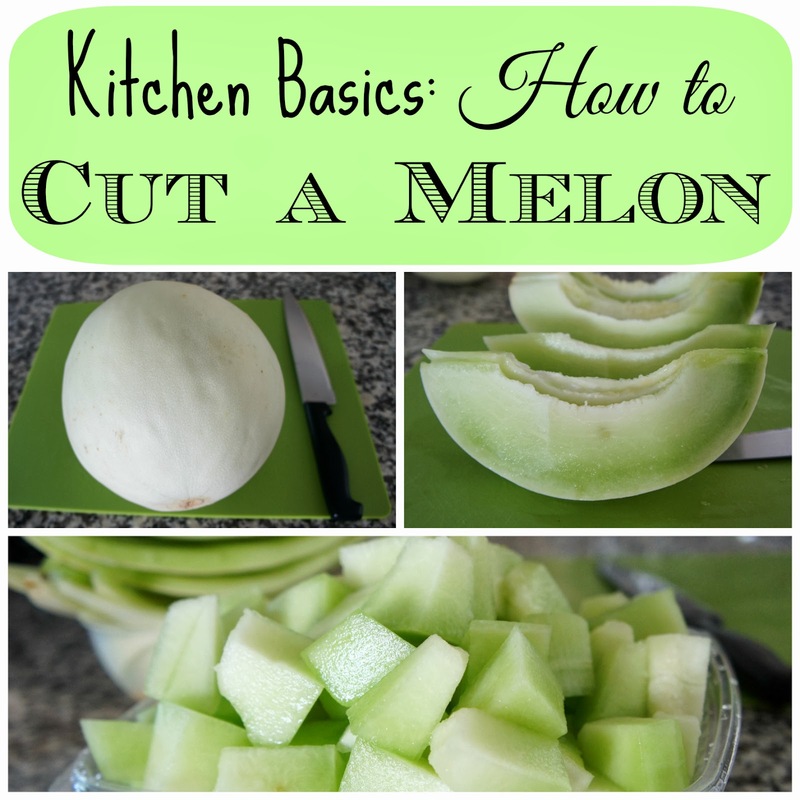 Since this was all new to my guy, I figured that a few of you might find this helpful or you can send it to someone else who might be able to benefit from knowing how to slice a melon up quick and easy! Do you have a different method or any additional tips? I would love to know! Ha!!! I'm so glad I could help! I wasn't sure if this was a great idea for a post at first, but I'm so happy that someone finds this useful! Really, I thought it would just be a step-by-step I could show my guy if he forgets how to do it. :) Yay! Absolutely! Sometimes the simplest topics tend to be overlooked because we feel no one will benefit from them... But there's always someone like me who just can't figure this stuff out for themselves lol! When I first saw this I thought "well, d'uh! doesn't EVERYONE know how to do this?" Then I realized, you are spot on for posting it. Many people just buy it pre-cut now or have someone in the house that does it for them (*cough* my husband *cough*). And your photography is beautiful. Love this! I didn't know about not cutting all the way through to the rind. That does make it easier. 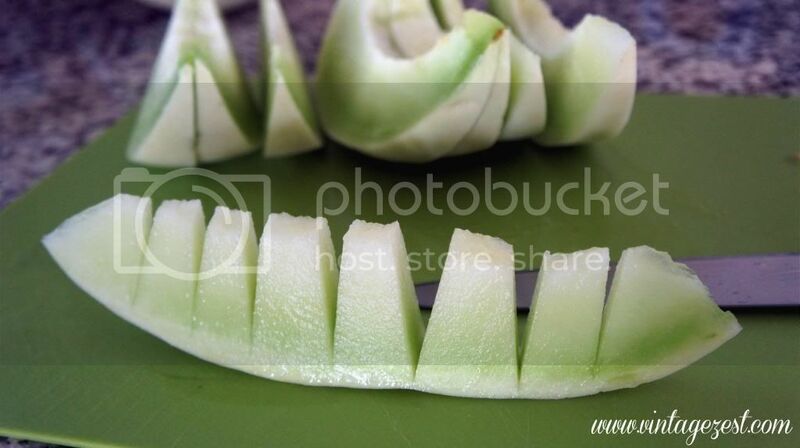 This is my favorite way to cut melon. Sometimes I skip the last two steps and eat it like a watermelon. I'm with you up to step 7. 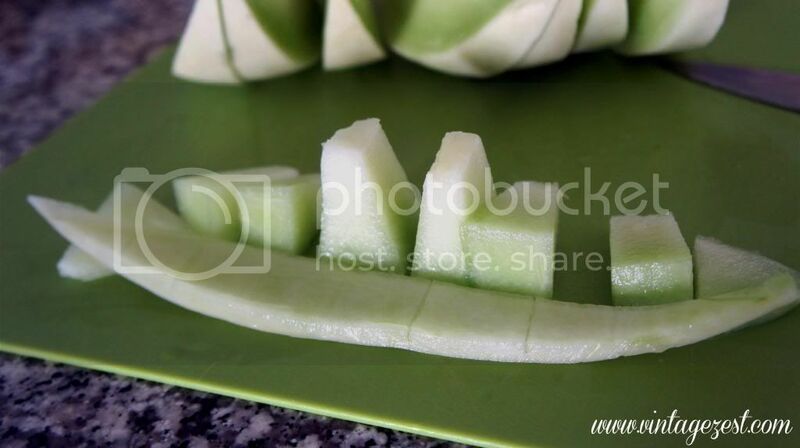 I cut the rind of before I cut the pieces. WIll try it your way on the next mellon and see if there's a difference. Thanks for sharing at Inspire Us Thursday on Organized 31.